Okay, let's talk about that blog post title for a minute. 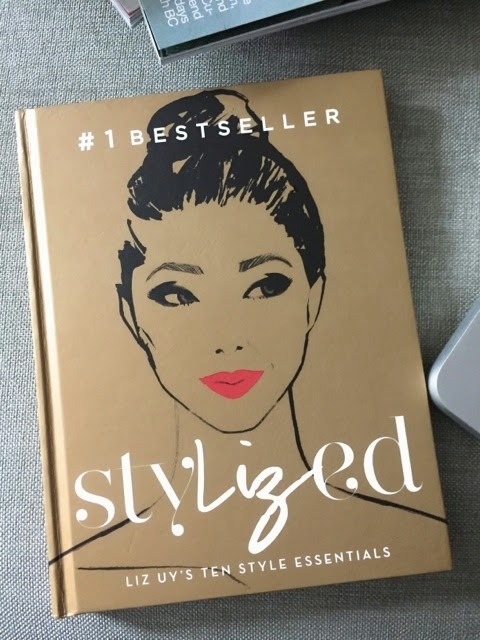 Liz Uy's fabulous book on style (and yes, it is a very good book!) was actually written by another person. It said so twice in the book, and Liz said so herself while promoting the book. While I am sure the book was Liz's thing through and through, I just want to give credit where credit is due. And Liz did so, too! She was very thankful to Vicky! So now that that's out of the way, let's do our review of StyLIZed! First, let's talk about Liz. Liz is the stylist to the stars. 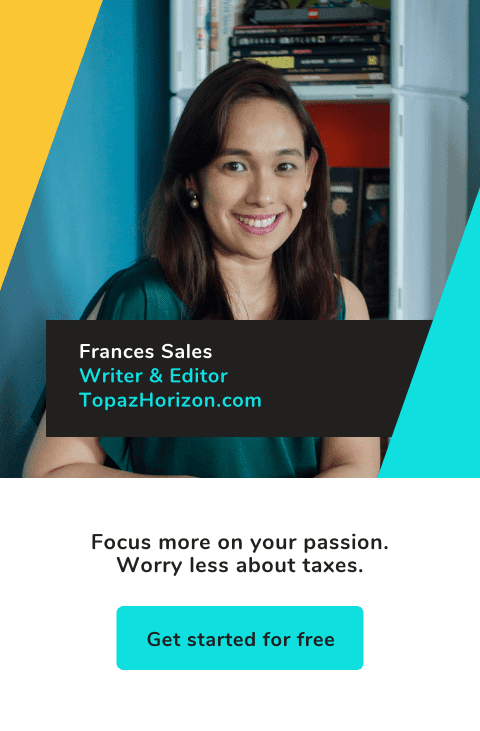 She started as editorial assistant to fashion magazine Preview, then became known as John Lloyd's stylish girlfriend, then became part of the It Girls (Anne Curtis, Solenn Heusaff, Georgina Wilson, Belle Daza) group, then became wildly popular for going on dates with the President of the Republic of the Philippines. But what Liz is known for is her work—she's a stylist. And now she also has a book. Second, this book is a year old na. I bought my copy last year. And it's a bestseller! So I'm hoping that means there are more of my readers who've read this book! Kasi the first pick for #TopazReads medyo isa lang ang nagbasa haha. Third, my review! I love this book. It's actually more magazine than book but maybe I think that way because I've been reading Preview since 2002 and StyLIZed looks so much like the magazine that while I was reading it, I just had to think, "So is this how much Preview influenced Liz or is this how much Liz influenced Preview?!?" The focus of the book. 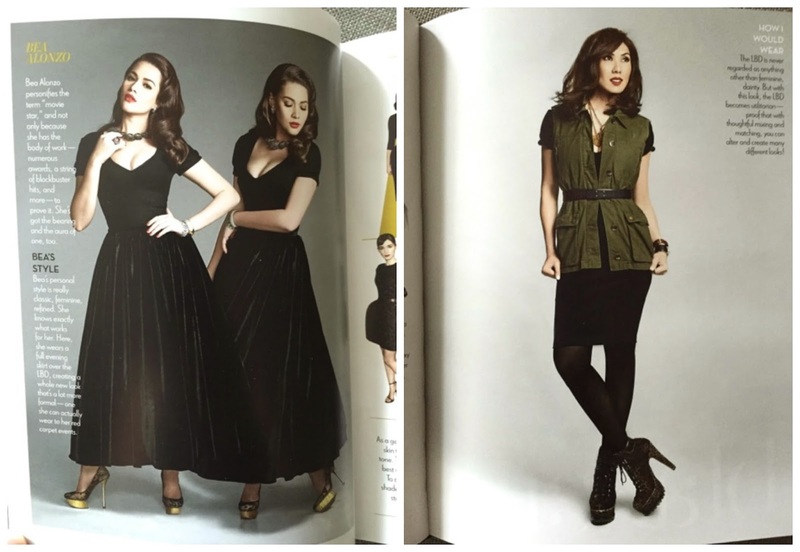 The book is all about the ten style essentials that Liz believes every girl should have. These are a white V-neck shirt, a little black dress, blazer, slacks, white button-down shirt, leggings, jeans, tank top, shorts, and a pencil skirt. That's it. And then she shows you how to style these basic essentials so that you always have something to wear and you always look fresh and on-trend. It's very simple and straightforward. 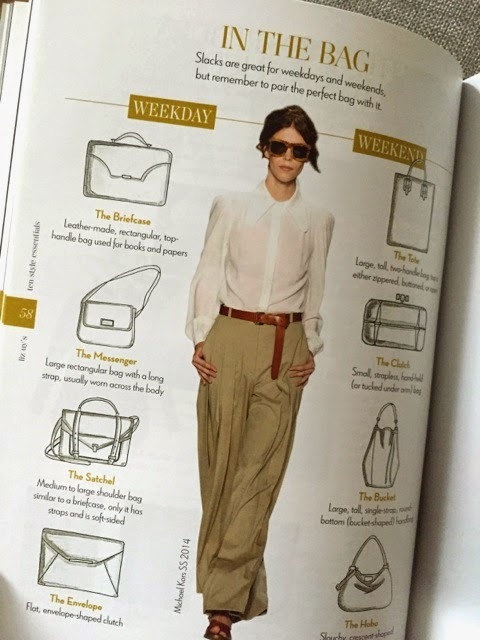 The kinds of bags to wear with slacks, matched for any occasion. The helpful tips and style tricks. One would think the above description wouldn't be enough to fill up an entire book, but because of the many styling suggestions (how to wear it on a weekday, on a weekend, to work, to play, etc), how to accessorize, how to give a basic piece second life, how to care for your clothes, how to find the style of a basic piece that suits your shape and personality, how celebrities—both local and Hollywood—wear the pieces, and soooo many more fascinating tips and tidbits, the book is just packed with chic goodies! It's super helpful talaga! The editorial lineup. You know, if I'd done this book, I'd be consistent with each chapter, like so: closet piece, introduction, how to wear it on different occasions, how to accessorize it. That's it. But Liz, aside from that, came up with various extra topics per chapter: how to wear this piece on one chapter, the history of the piece in another chapter, undergarments for this piece in another chapter, etc etc! Hindi nakakasawa! Ang galing! The celebrities. Okay, that's supposed to be one of the strengths of this book because, as a celebrity stylist, Liz of course should have a book presenting her star clientele. And she did. Luminous names like Kris Aquino, Anne Curtis, Marian Rivera, Sarah Geronimo, etc. adorn every chapter adorned in the style essential that Liz assigned to her. But that's it. Model lang si celeb. Sana there are other photos of her wearing the style essential—like Anne in a T-shirt sa bahay lang, or while shopping, or with a poufy skirt. Or Marian in a blazer with a sundress, or a shirt and ratty jeans, or with an evening gown. Like that ba! Diba mas masaya yun? Sa lagay, models lang sila so sana Liz just used models na lang talaga. Plus, Liz always styles herself better than she does the celebs so sana si Liz na lang throughout! The verdict? I think everyone should grab this book! It's a really good guide on the basic pieces you should have in your closet (although I have more to add: black heeled pumps, an A-line skirt, a classic watch, pearls, sunglasses!) and how to wear them so you look fabulous!!! So! 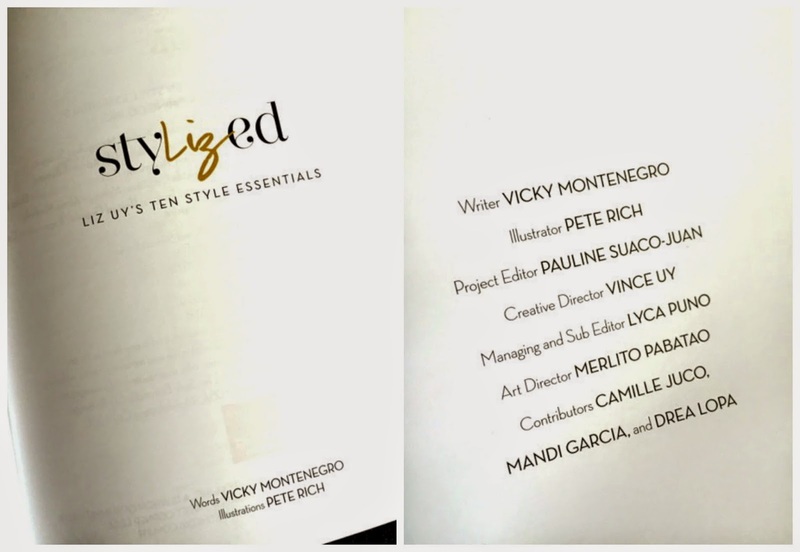 Did anyone else read Liz Uy's StyLIZed by Liz Uy and Vicky Montenegro? If yes, kindly leave your thoughts on the book in the comments section below. At 11 p.m. tonight, I'll be online for 30 minutes to respond to every comment and if you're also online, we can actually have a conversation! Do come chat with me tonight! Just like you, it took a while for me to get this book. And I don't know why! I should have gotten this book early on and revamped my whole wardrobe (Haha! As if I can afford it). I super duper loved this book! Achievable lahat ng mga styles recommended by Liz. Yung mga reference styles, pwede apply dito sa Pinas. Yung ibang mga magazine kasi may binabagayan lang na season na wala naman dito. My favorite chapter is about the leggings. 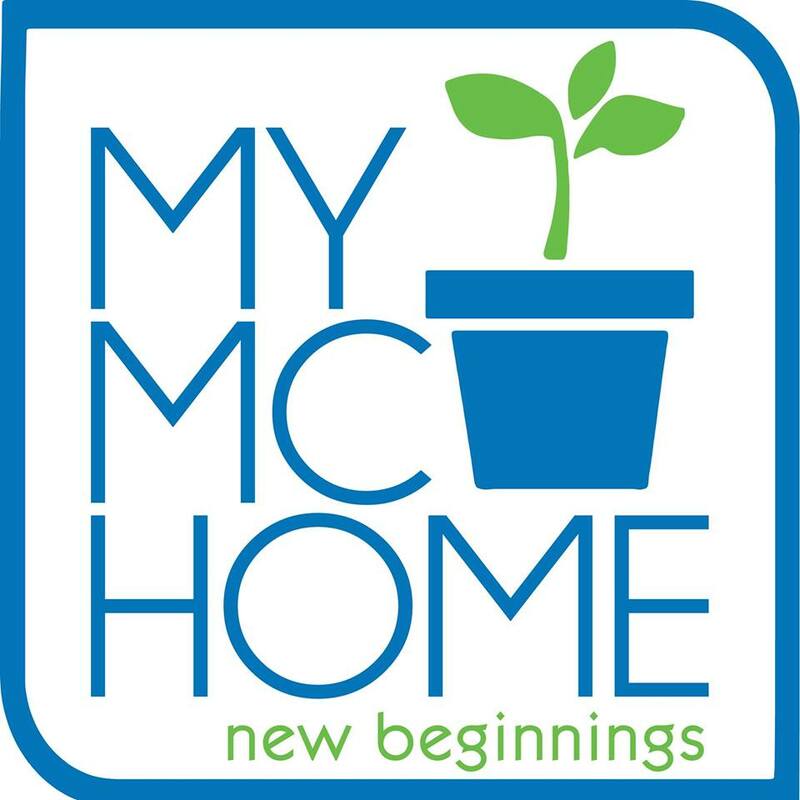 Every Pinay should read about it! Pansin ko kasi dami di marunong magsuot nito (showing what shouldn't be shown, kahit payat ka pa). PS: Thanks for reviewing this book! Looking forward to the next one. I feel so restricted in blazers! But I think I have to buy nga coz I work in the corporate world. H&M has pretty decent blazers. Hintay ko na lang mag sale. Hahaha! 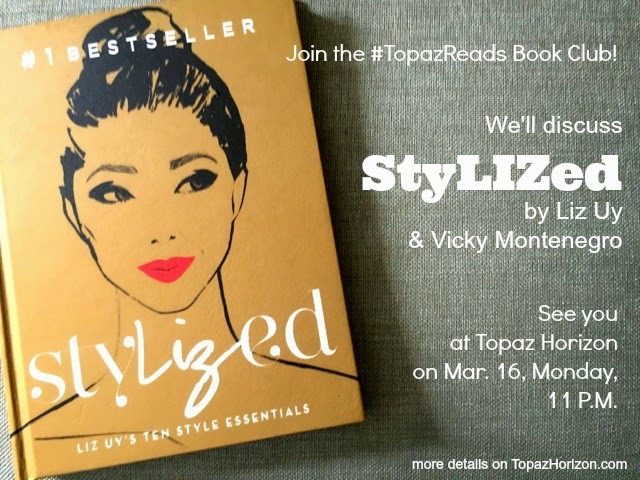 Sana Liz will have another book: What to do if you just can't wear my style staples. Like some people are not jeans people, or may puson kaya ayaw mag pencil skirt. That would be a good idea. Definitely relate sa malaking puson! A guide on how to hide flaws and still look fabulous. Or as I've mentioned before, how to dress pag sobrang init sa summer, at sobrang lakas ng ulan. Hirap pumorma pag may bagyo at kailangan mo pa din pumasok. I'm so sad I missed your giveaway for this book! I really want to get a copy. I need to put this on my list! It's cheap lang! And may paperback version na!!! I got a copy thru Buqo. I dont like her style pero this book is really good. I also liked yung iba iba sya. Hindi boring. Kahit maiksi lang.. Enjoyable. And yeah. Parang magazine lang. She should totally do a second book! But, ya, sana more of her voice na. Isa pa yun na napansin ko. Ang lakas ng magazine feel ng book, it doesn't feel like it's Liz talking but the brand StyLIZed talking to me.